Safe to say, we’re not all blessed with dishwashers. 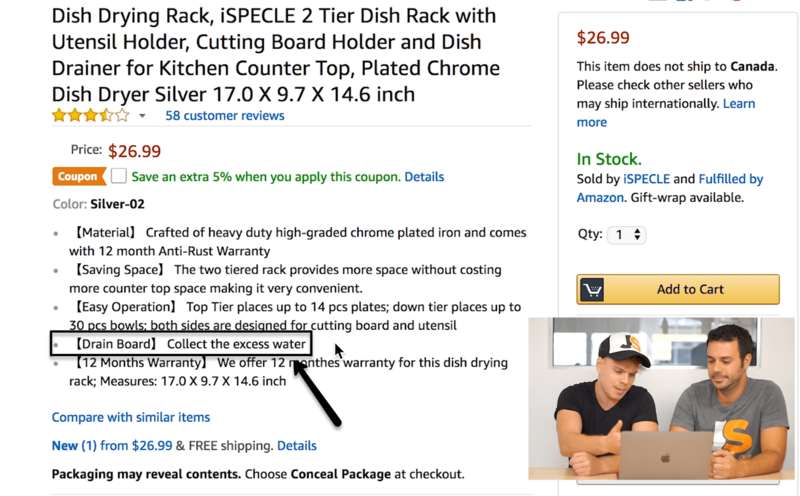 So, our Amazon Unboxing product this week is a basic kitchen necessity for many: a dish drying rack. What’s it going to be this week, judges?! Pass or Fail? Our judges found this incredible opportunity by using Jungle Scout’s Database, included with all web app subscription levels. They set the filters to high monthly revenue ($20K) and a low number of reviews (<60). When this dish rack popped up, they ran with it! So what do we know about the drying rack? Well, we know this particular item from iSPECLE sells 700+ units per month. We also know it has a mere 58 reviews. That’s $18,000 in sales with hardly any customer approval! *Although this video was filmed in August 2018, the current data still shows 600+ units per month with over $17,000 in sales. That’s an impressively steady command of sales over an extended period of time. At first glance, this listing is attractive. But, after taking a closer look, we noticed that the bullet points are a bit sloppy and basic. Simply listing a product’s functions doesn’t work. You need to clearly and creatively state the full benefits of the item you’re selling. For example, the ‘[Drain Board] collect the excess water’ bullet point is painfully obvious. 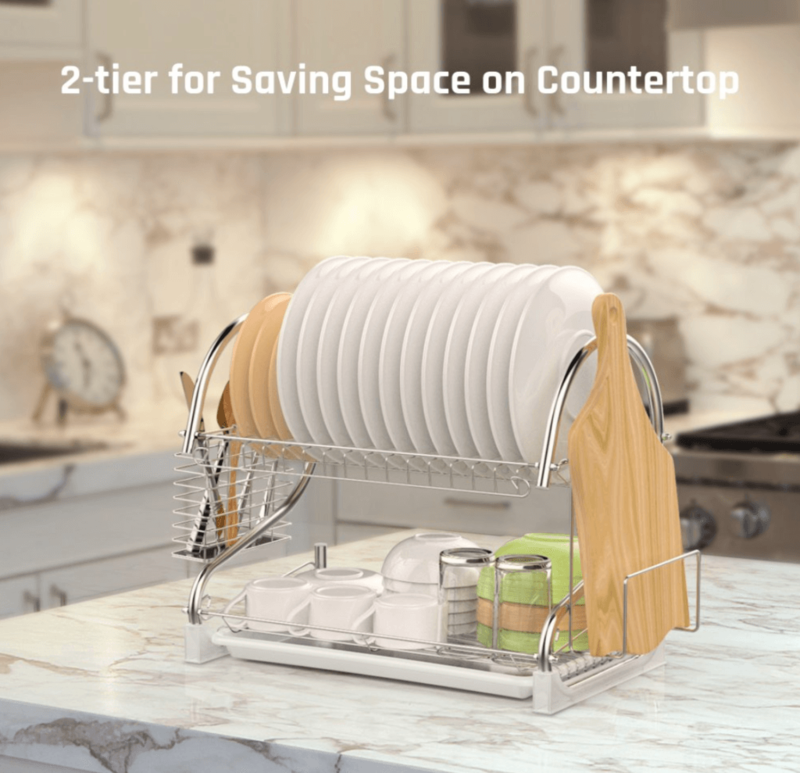 Instead, the bullet could have said, “Never have a wet countertop again!” The latter bullet helps convince buyers that this dish rack will make their lives easier. Don’t be afraid to hype up your product! The extra thought you put into your listing’s copy counts for a lot more than you might think. Before Joel and Adam had the dish rack in hand, they scanned its reviews. And even though there was minimal feedback, there were a significant number of buyers criticizing the product’s sturdiness. Many found the structural support of the dish rack to be lacking, with some calling it cheap. When the drying rack arrived, the unboxing left us pleasantly surprised. The materials were in much better shape than expected, and product assembly was quick and easy. Once it was loaded with dishes and cutlery though, we noticed that some areas could benefit from a little reinforcement. And while it wasn’t a total loss, it was a reminder to always listen to customer feedback! Hear what they say, test it out yourself and, if necessary, make improvements to enhance the quality and integrity of your brand. Maybe the seller wants one simple, streamlined product. Maybe they haven’t reinvested in their business yet, which would allow them to launch more products. Or, maybe they just never considered the benefits of bundling, leaving a ton of profit on the table!. Sure, bundling opportunities for a dish rack might not be as obvious as they were for the gold plastic cutlery we unboxed in Amazon Unboxing, episode #4. But a couple of things that quickly came to mind were a sponge holder and dish scrubber. Both would pair nicely with the drying rack. Bundle all three and you’re creating a one-stop shop for your customers. That’s what we call a win-win-win! Nailed It! How This Seller Passed the Unboxing! Oh yeah! We nearly drooled over the product photography when we first laid eyes on this listing. It’s clean, crisp, and captivating. And the lifestyle shots are exactly what we want to see as a customer. The BEST part though was the text on the photos. Normally we don’t see this. Normally, figuring out how a product works is a guessing game. But this listing calls out the features and benefits right on each photograph, so no questions are left unanswered. Never-before-seen on this series, we found an insert in the product packaging that included a user manual, warranty, AND tips in multiple languages! With that kind of attention to detail, Adam and Joel assembled the product in less than five minutes. This unboxing’s email was sent immediately following our purchase, with our order info in the subject line. That’s always a plus. It also included the brand’s logo, a personalized greeting, and came from an actual person! In addition, the email referred to a user manual and provided helpful tips. We knew what to expect before we even received the product. Overall, the information the email provided was basic, but it covered everything we needed to know. For the second week in a row, we unboxed a winner! The improvements recommended by the judges are minor and, as we can see by the steady sales over the last six months, the flaws we noticed haven’t really hurt the seller. 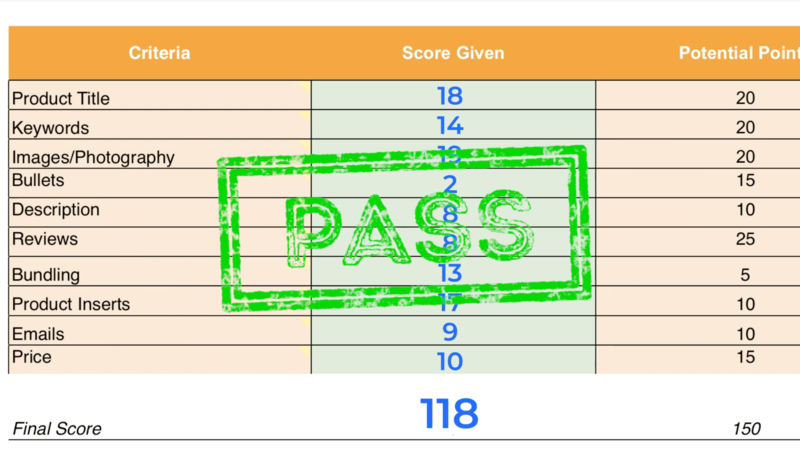 But even with a score of 118, the dish drying rack shows us that there are always ways to improve the profitability of a product. And optimizing your listing will only make your product stronger, leaving your potential competitors in the dust! 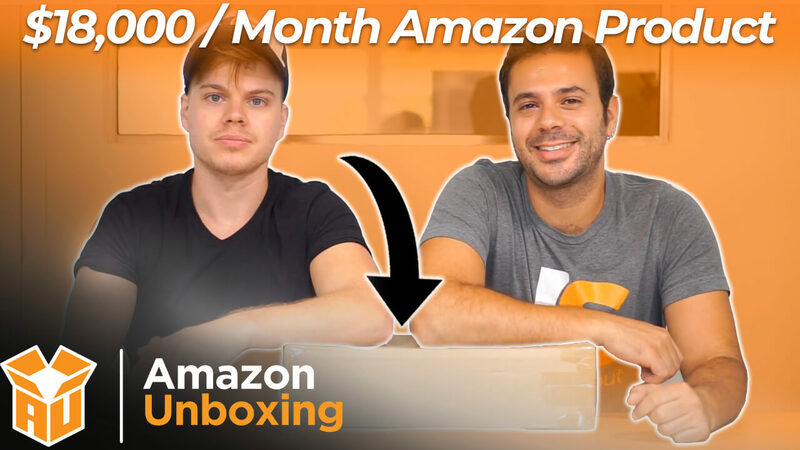 If you can’t get enough of Amazon Unboxing, make sure to subscribe to get notifications when new episodes drop every Wednesday.